Who doesn’t love a good burger? Even if you don’t eat beef, burgers are so versatile and customizable. In fact, they’re one of our favorite meals to go out and eat. 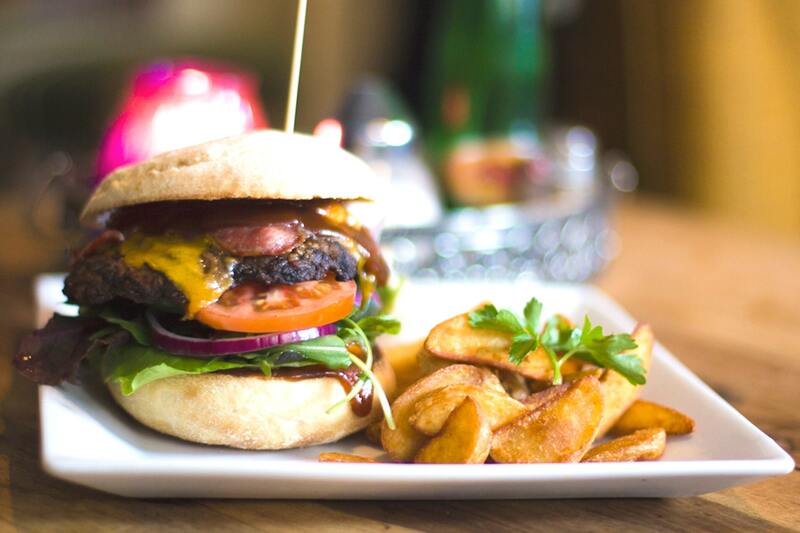 Lucky for you, being a resident at apartments in North San Antonio puts you close to some of the best burgers in the city. Doesn’t get much better than that, does it? In this blog, we’re sharing places near Remington Ranch that are serving up some world-class burgers. Oh, and when you get done with the blog post below, we’d appreciate it if you could share it with your friends. Better yet, how about sharing it with your friends and neighbors at Remington Ranch apartments in North San Antonio? Biff Buzby’s Burgers is unlike any other burger restaurant you’ve been to. The restaurant and its menu follow an aviation and car theme for a unique atmosphere and overall experience. And while Biff’s is known for their burgers the menu also offers a number of sandwiches, salads, and appetizers. In tune with Biff’s aviation theme are the two burger eating challenges. Feeling hungry? Put your stomach to the test and try to go for the Hindenburg or Red Baron challenge! These are timed events and will push the limits of your appetite. If you’re able to beat these burgers you can walk away with a commemorative T-shirt, your name on the wall, and most importantly, bragging rights. Sometimes less is more. At Chester’s Hamburgers this couldn’t be any more true. The menu here is simple and focused on serving up classic, old-fashioned burgers. Chester’s has been in town for more than 30 years so you can assure they know a thing or two about making the perfect burger. In fact, readers of the San Antonio Express-News and Texas Highways Magazine have named Chester’s the best burger in town and the state. Your apartments in North San Antonio puts you less than a mile away from Charlie Brown’s and a delicious burger. Charlie Brown’s serves up one of the tastiest burgers in the neighborhood. Pair it with your choice of fries, chips, onion rings, tater tots or your favorite beer for a solid meal. On top of that they also host weekly free trivia and karaoke! That’s it for our list of best burgers around Remington Ranch, but we’ll be back in a couple weeks with another brand new blog for our residents! For now, we’d like to tell you all how much we appreciate those of you who’ve been coming back month after month to read all the latest blogs from Remington Ranch. We’re thrilled that you were able to join us to read this week’s post, and we look forward to seeing you back here in a few weeks when our next post goes up on the site! In the meantime, go ahead and try out one of these San Antonio burger joints.